Currently when you contact the surgery to make an appointment, the receptionist will ask you for brief details of the reason for the appointment. This is under the instruction of the GPs and helps to make sure that each patient is dealt with in the most appropriate manner and is seen by the clinician who is able to deal with their needs most appropriately. 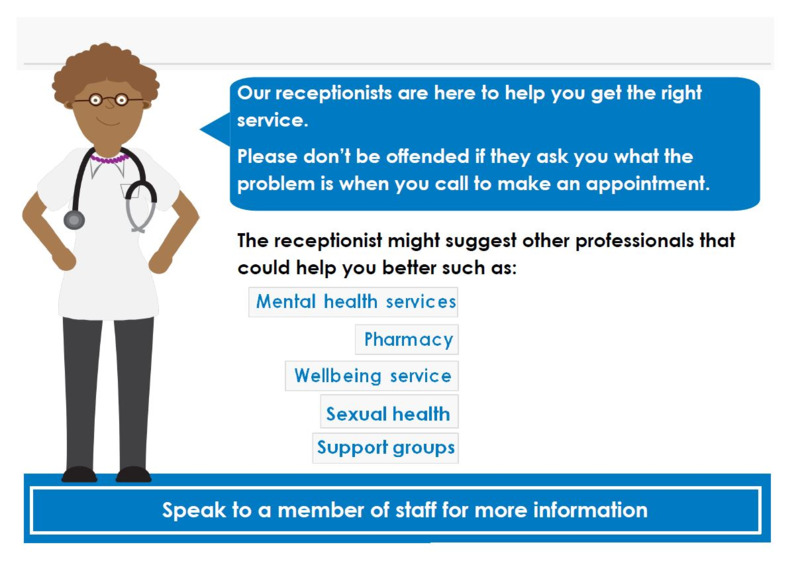 Receptionists have now received additional training in order to enhance their ability to identify the most appropriate source of care and enable them to offer patients the choice of accessing external services, free of charge, via self-referral.